PewDiePie, never a YouTuber to shy away from controversy, has weighed in on Logan Paul’s disgraceful recent upload to the video sharing site. After Logan posted a 15-minute clip to YouTube depicting the dead body of a man who had recently taken his own life, the online vlogging collective has criticised his actions, rightly. YouTubers will go to extreme lengths to get views, thus is the world we live in. Yet Logan Paul has now been forced to take this particularly grim example off YouTube. It violated pretty much every guideline and common decency, when it showed a dead body. Logan and his crew travelled to Japan, filming themselves venturing through a forest at the base of Japan’s Mount Fuji, otherwise known as ‘Suicide Forest’ locally. During the 15 minute video, the crew came across the body of a man hanging from a tree after the deceased, who remains unidentified, killed himself. After the tragic discovery – which the crew were obviously going out of their way to find – Logan turns the camera on the body and zooms in as the police are being called. He then turns the camera upon himself as he reacts to the unfolding events, in a hideous and unintentional parody of ‘YouTuber Reacts’ video tropes. The video, which wasn’t monetised, was intended to raise awareness for suicide – in the most misguided and sensationalist way possible – apparently. As you could probably imagine, Logan has received a huge amount of backlash for his insensitive portrayal of the tragic aftermath of suicide, which has reached the point of epidemic in Japan. I’m sorry. This is a first for me. I’ve never faced criticism like this before, because I’ve never made a mistake like this before. I’m surrounded by good people and believe I make good decisions, but I’m still a human being. I can be wrong. As well as PewDiePie, another well known figure has stepped in to criticise Logan Paul – none other than Breaking Bad‘s Aaron Paul. Although he didn’t use his iconic term ‘Yo B*tch’, he did come down hard on the YouTube star – and deservedly right! Dear @LoganPaul, how dare you! You disgust me. I can’t believe so many young people look up to you. So sad. Hopefully this latest video woke them up. You are pure trash. Plain and simple. Suicide is not a joke. Go rot in hell. Ap. Logan rounded things off by saying he loves people and believes in people, including the hashtag ‘Logang4life’ – but evidently doesn’t understand human sensibilities all that well. Yet one previously popular online vlogger, Logan Paul, made a very unpopular – and frankly grim – video which he has now been forced to take off YouTube. The video, which wasn’t monetised, was intended to raise awareness for suicide – in the most misguided and sensationalist way possible, apparently. 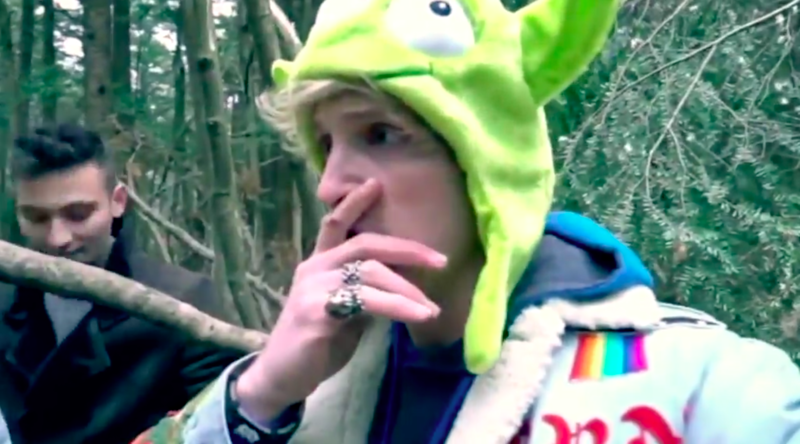 Logan rounded things off by saying he loves people and believes in people, including the hashtag ‘Logang4life’ – but evidently doesn’t understand human sensibilities that well. If you’ve been affected by any of these issues, and want to speak to someone in confidence, please don’t suffer alone. Call Samaritans for free on their anonymous 24-hour phone line on 116 132.